Once upon a time, if you were a blogger, you didn’t have as much competition online for bandwidth as you do now. Movies, television shows, music, social networking, gaming, school, work and almost every aspect of our daily lives have begun to revolve around the internet, and while the last thing anyone wants to do is wait, not having enough bandwidth can make you do just that. This is especially pertinent when sharing the internet with an entire family; insufficient bandwidth can result in long download times, pausing in media in order to buffer, and slow navigation. If you vlog and spent a lot of time uploading video, it can be particularly onerous to watch the progress bar crawl wearily stumble towards the time you can actually post your latest content. However, you can now avoid much of the stress in your household by finding a broadband deal that will meet your needs. Bandwidth is, simply put, the path of communication between your computer and the internet. The more bandwidth you have, the more information can be transmitted to your computer. Many compare it to a pipe. A large pipe is able to move a great quantity very quickly. However, a small pipe is unable to do so. If you only plan on using small amounts of information, a smaller bandwidth will be just as efficient as a higher bandwidth. However, if there’s a great deal of internet activity, you’ll find yourself with a backup. 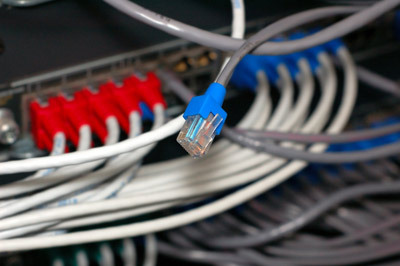 Broadband is a term used to mean a great amount of bandwidth, or broad bandwidth. This is the word typically used by high speed internet providers as all their plans provide large amounts of bandwidth, which is why they’re known as high speed internet companies. The various broadband plans specify how broad their bandwidth is. If any of these devices are connected to your home internet, they will affect your required bandwidth. Most videos stream at 25Mb/m, consuming a great deal of bandwidth. Many online games use 10-15Mb/h. Social media like Facebook can use about 5Mb/m. Skype can use 6Mb/m. If the only use of your internet at any given time is watching a movie while browsing Facebook, you can max out smaller broadband deals and be left with slow internet. If you have several people using the internet simultaneously, broadband deals with higher Mb/m will be the ideal choice. Ofcom’s 2012 report gave the title of the fastest average broadband speeds to Virgin Media’s 100Mb+ service, so if you have to have the fastest, click here. For each broadband deal, most providers will suggest how many people the bandwidth will comfortably accommodate. If a bandwidth proves to be inadequate, providing slow and sluggish internet, plans can always be updated to improve your experience. Is There Such Thing As Too Much Bandwidth? High speed internet is the objective of both the provider and the customer, and if you’re experiencing problems with speed on a particular bandwidth, a greater bandwidth would be preferable. However, if such problems do not occur, then having a greater bandwidth will do you no service. In a household of one or two people, the largest of the broadband deals will probably be unnecessary and will not make your internet experience any more enhanced than it already is. A very clear article on Bandwidth usage. Requirements classically compared with solutions. Hey Nathan what an post. Really a very good correlation established in your post. As a blogger, he always always need a good surfing speed as he really has to do a lot of reading stuff as well has to do back linking and for which he really needs a high speed. Very nice post bro…keep sharing!!! Really fulfill all the required info about bandwidth. Working from many years but still don’t know that what actually bandwidth is? limitation of bandwidth? but this post really solves many questions about bandwidth allocation. Thanks.